Many rocks in everyday encounters may seem unbreakable and unchangeable. Rocks do, however, undergo changes. One of those changes is called weathering, and over both short and long periods of time, it can drastically alter rocks in a number of ways. What Is Weathering of Rocks? Weathering of rocks describes the process of weakening and breaking down of rocks and minerals. This can happen via both nonliving and living factors, such as temperature changes, plants and animals, acids, salts and water, whether solid or liquid. Weathering of rocks takes place over a period of time. Rocks on the Earth’s surface tend to weather faster than those underground. Weathering is one of the processes that lead to soil production. What Are the Types of Weathering? Different types of weathering affect rocks. These include physical/mechanical weathering, chemical weathering and biological weathering. Physical or mechanical weathering actually breaks rocks down into bits. One method of physical weathering involves the freezing and thawing of water. In liquid form, water can slip between any pores or cracks in rocks. If this water freezes, it will expand inside those rocks. The volume can increase as much as 10 percent, placing great pressure on rocks. This is called ice wedging, or cryofracturing, because ice actually wedges rocks apart over time. When the ice thaws and forms liquid water again, parts of the rock will be swept away as tiny pieces through erosion. Water plays a major role in physical weathering. It can enter the pores of rock and clay, make them swell and then weather harder rock around them. Water lifts rocks from underwater surfaces, and when they fall back down, or hit other rocks, they can break. Salt can lead to a type of weathering called honeycomb weathering. Groundwater seeps into rock cracks by capillary action and eventually evaporates. This yields salt crystals, which increase the pressure in rocks. Eventually the rocks will break down. This can leave pits of salt crystals that resemble honeycombs. The weathering from salt crystallization weathering is often found in dry climates. Temperature extremes can affect the weathering of rocks as well. One type of physical weathering is called thermal stress. This is a common factor in desert climates, in which the daytime temperatures are very hot, whereas the nighttime temperatures can be quite cool. When this wild swing of temperatures takes place repeatedly over a long period of time, rocks will eventually crumble and flake. This action is called exfoliation. Abrasion is another type of physical weathering in which constant exposure to friction from wind, water or ice gradually exposes rocks and breaks them down. Another major type of weathering is chemical weathering. Chemical weathering often results from the interaction of water and temperature in an environment with minerals in rocks. In chemical weathering, the actual molecular makeup of rocks changes. One example is when carbon dioxide combines with water, creating carbonation, which yields carbonic acid. Carbonic acid in turn will dissolve limestone, which over time makes underground limestone caves. Oxidation is a type of chemical weathering in which rocks with iron content will react with oxygen and water, leading to rust. Rust presents as the classic reddish-orange color in iron. This rust will wear down rocks. In hydration, the actual chemical bonds of a rock will change from the absorption of water. Water changes anhydrite to gypsum in this way. Hydration also leads to rock deformation. In dehydration, water is removed from rock, such as when water is removed from limonite to form hematite. In hydrolysis, minerals change when exposed to acidic water to make solutions, such as saltwater solution. Chemical weathering, via hydrolysis of feldspar, also makes the very common clay minerals and quartz. Hydrolysis of alkali feldspar, or orthoclase, can also result in the formation of kaolinite and other substances. All of these chemical processes lead to increased weathering of rocks. Chemical weathering is more common and occurs faster in tropical regions, due to heat and abundant water from rain. Biological weathering is a type of weathering that results from plant, animal and even microbial influences. For example, tree seeds will over time break apart rocks as they grow into mature trees. The roots of trees will continually spread and make cracks in rocks. Digging animals such as moles can also break down rocks. Even animals aboveground can break down rocks as they travel over land. Both living and decaying plants and fungi affect rocks by producing carbonic acid. Fungi in lichen work to break down rocks to release minerals, and symbiotic algae partake of those minerals. This process leads to holes in the rocks. Even tiny bacteria can weather and change the mineral content of rocks! Over time all the activity from biological organisms leads to increased weathering of rocks. When rocks are worn down by weathering over time, they can be swept away by wind or by bodies of water. This process is called erosion. Erosion tends to occur in rocks weathered on the Earth’s surface. Both weathering and erosion are prevalent everywhere on Earth, and the combination of them changes the surface drastically over long periods of time. There are many examples of weathering of rocks around the world, including some major landmarks. Did you know that the largest canyon on earth was made by water? The Grand Canyon in the United States was carved into its current form over millions of years, due to weathering of rocks by water, specifically the Colorado River. Another example of weathering is the exfoliation that leads to landforms called bornhardts. These domed structures tend to occur in tropical environments; one example is Sugarloaf Mountain in Brazil. Limestone caves are an example of weathering. Chemical weathering formed the immense cave system of Carlsbad Caverns National Park, in the United States. The Appalachian Mountains in North America were once taller than Mount Everest. Weathering and erosion, over many millions of years, wore these mountains down into the lower, smoother chain that they are today. It is amazing to think that weathering from chemicals, plants and animals and microbes of any size, and rain and wind can make such enormous changes to the landscape! 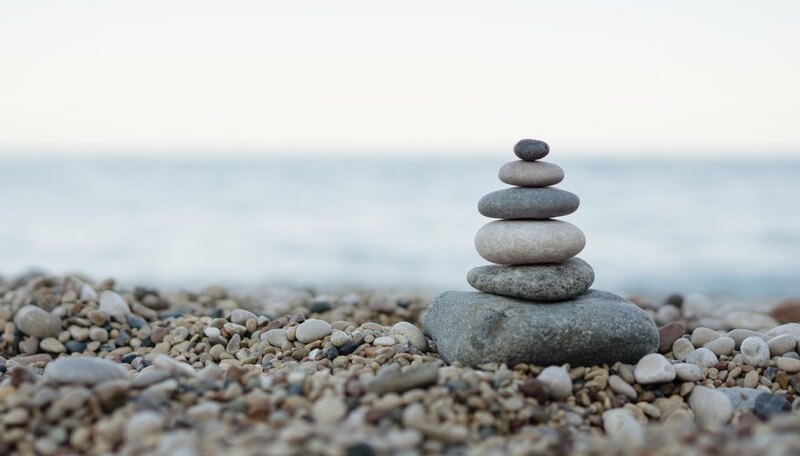 The weathering of rocks plays a crucial role in the balance of the environment. When rocks are weathered from sharp objects to smoother ones, they are ready to contribute to making soils. Decayed plant and animal matter, bacteria and weathered minerals yield fertile soils. The more kinds of materials in soil there are, including weathered rock pieces, the more fertile the soil will be. This is important for growing plants, and as such is important for the farmers who grow food for humans and animals to eat. If soil does not contain a broad mixture of both biological and mineral components, it will not be as fertile, and in some cases may lack any fertility whatsoever. Human action can increase the rate of weathering. Fossil fuel air pollution leads to acid rain, which wears down rocks such as marble and limestone, and any buildings or monuments made from them. Reducing the pollution in the air from fossil fuel production can help to prevent further damage to the environment from acid rain. 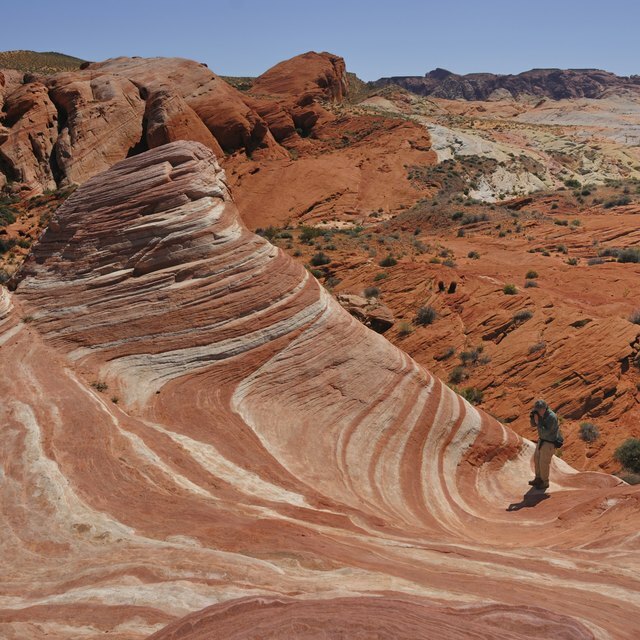 The American Geosciences Institute: What Is Physical Weathering? What Factors Determine the Rate of Weathering? Dianne, J.. "Definition of Weathering of Rocks." Sciencing, https://sciencing.com/definition-weathering-rocks-7218127.html. 26 October 2018.